Our Samhain event is almost upon us, and before it starts and everyone has the chance to experience all the exciting new content we have lined up I thought I would take some time to give you a little bit of information about some of the traditions and customs of Samhain. As was mentioned in our announcement post, Samhain can be translated as “End of Summer” and is a festival which marks the end of the harvest period and welcomes in the ‘darker days’ of the winter months. The festival dates back many, many years, and is mentioned in some of the earliest Old Irish literature from around the 10th century. It is said that during Samhain the ‘doors’ to the Otherworld opened, which allowed for faeries and the spirits of the deceased to make their way into our world. Many of our modern Halloween traditions have their roots in Samhain. For example, wearing masks or costumes (which is known as ‘guising’) was thought to confuse or protect against the spirits which had crossed over into the world of the living during Samhain. 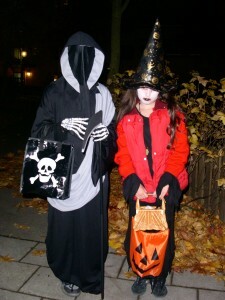 During Halloween many people enjoy visiting homes and playing trick-or-treat. It is possible that this tradition comes from the Samhain custom of going from door-to-door in order to collect food for a Samhain feast, wood and fuel for the Samhain bonfires, and/or offerings for those spirits which have come from the Otherworld. 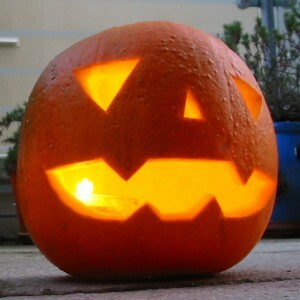 The carving of pumpkins may also have its origins in Samhain. It has been recorded that people in parts of Ireland and the Scottish Highlands would carve faces into turnips and turn them in to lanterns. This may have been done to either represent the spirits of the deceased, or to protect one’s home from marauding ghosts and faeries. As you can see, while Samhain may be a festival which dates back centuries many of its activities and customs are still around today. So the next time you dress up as a ghost or witch, knock on someone’s door and ask them “Trick or treat?”, or carve a face into a pumpkin and transform it in to a lantern, just remember that you are doing something that has been around for hundreds, if not thousands, of years. If you’re interested in learning more about Samhain and its origins, be sure to check out this page. 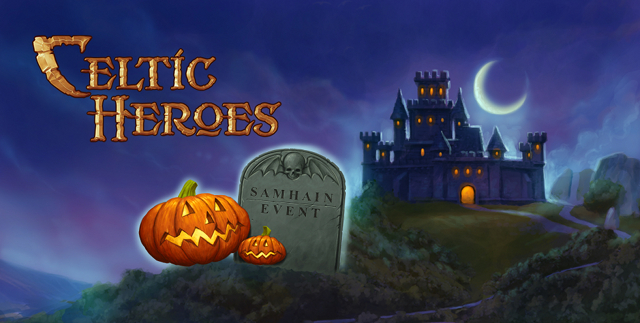 Don’t forget that our very own Samhain event is launching this week, and you can get a taste of what to expect in terms of content by clicking here! Is it also gonna have new rides? Does Sam. Event start tomorrow or later in the week?